Visit three unique, boutique Waiheke Island wineries in different parts of the island, tasting up to 15 award-winning boutique Waiheke Island wines, locals oils, honey and more. 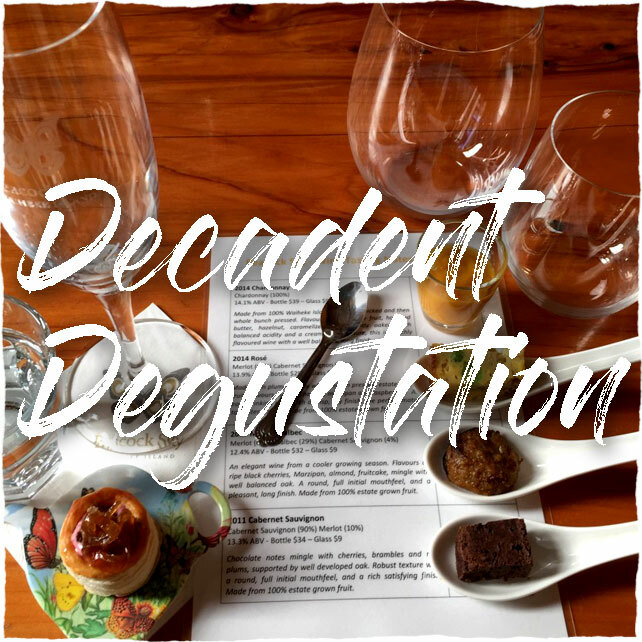 The degustation food pairing with your Peacock Sky tasting and your delicious gourmet main is included and our lovely guests are especially well taken care of. Hop on the 10am Fullers Waiheke Ferry at the very bottom of Queen Street, downtown Auckland. BOOK NOW or send us a quick email to get your unique Waiheke Island adventure started. Grant’s appreciation of his surroundings is contagious. A spectacular day out!